sorry for the lack of updates, my mind has been somewhere else. 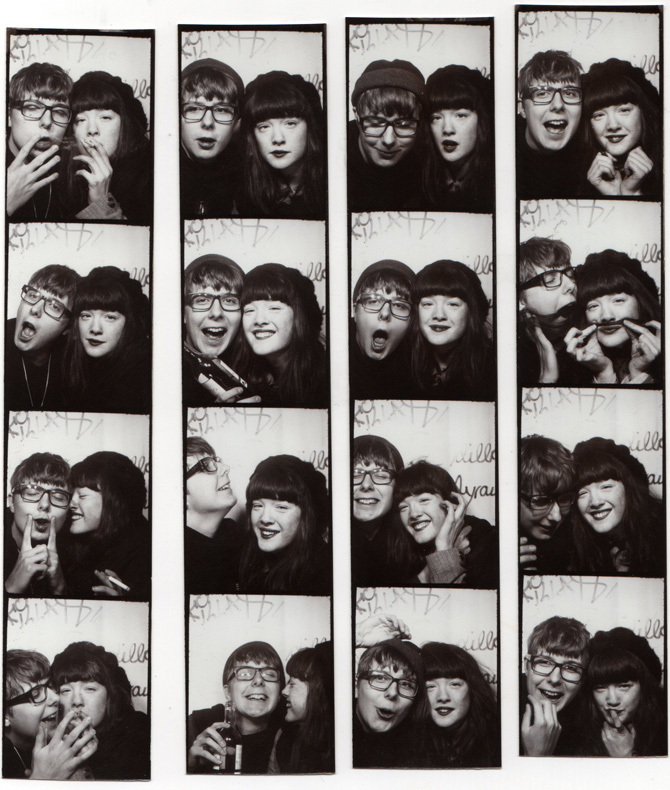 just yesterday me and ebba got home from a weekend in berlin with a lot of laughter, yatzy, wine, an amazing bright eyes-concert (plus one in stockholm), 4 photobooth-strips (see above) and a re-visit to the old military complex. I love your Brenda-Walsh-Lookalike-Friend. Much love for you both!